Take ''The Mask'' off Dublin! It includes four museums, three of which are located in Dublin: Museum buildings are located in different parts of the city, pay attention to where exactly the museum you are interested in is located. ''The Museum of Decorative Arts and History'' -offers an exhibition of costumes, clothing, a collection of coins and antique furniture, antique weapons. 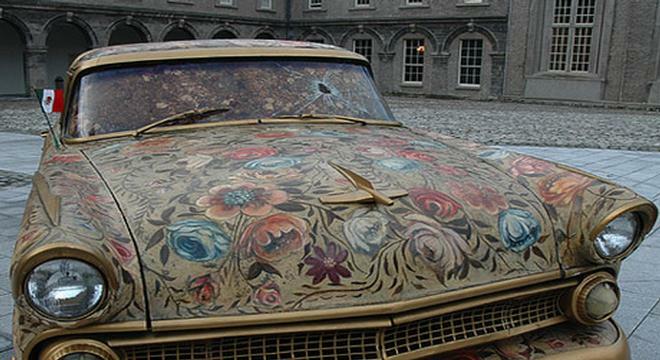 The museum is located at Former Collins Barracks, Arbor Hill area of Dublin. You will hardly be able to inspect the military Barracks themselves, although here everything breathes the history of the liberation of Ireland - sorry for the high syllable, because even today the buildings of the military Barracks are not empty at all, they are always military guards, but to go from them to the Museum of Art will not be so far and all the more interesting. ''The Museum of Archaeology and History'' - represents the world famous exhibition of the Bronze Age collections and the treasures of the early Christian period in Ireland. Located on Kildare street. This famous street lies in the very center of the capital, the Irish Parliament is also located on it, and such a good location for such interesting buildings as the Museum of Archeology and Parliament will shorten our time. Kildare street is not very big, you can walk to it from the side of the famous Merrion Park or from the well-known St Stephen's Green Shopping center. All this is in the heart of Dublin. 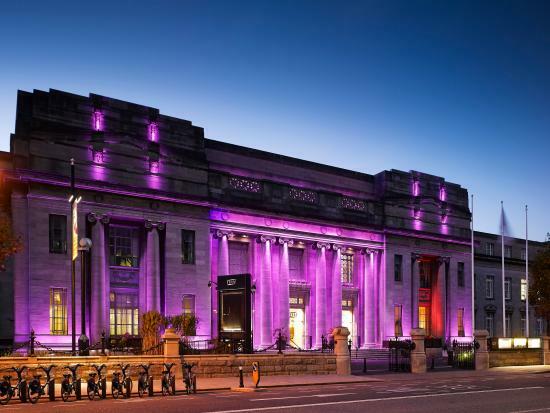 ''The Museum of Nature History'' - is the oldest part of the museum and represents the achievements of Ireland over the past century. These few dry words, however, should not scare us away - the expositions of this museum will tell you about what you rarely see on television and are unlikely to be read in the press. Located Museum on Merrion street. You can easily walk to this street from the well-known Sherborne Hotel, where so-called celebrities (famous art people) or from Merrion square usually like to stay. Located at the crossroads of Merrion Square & Clare, walk to the Gallery is also easy - from the center along Merrion Square and slightly ahead. On the 5 floors of the building Gallery represents the collection of world masterpieces of outstanding masters of painting in different directions in art from the 17th century to the 20th, and not to mention all those treasures that cannot be hung out or exhibited in the halls of the Gallery due to just a lack of space, and many are hidden and paintings, and graphics, and sculptures in the storerooms, as they say in the ministers of the Museums and Galleries. But from time to time works of art are taken out and they are put out for us for a month or two. New expositions, unfortunately, do not happen as often as we would like. Having been at one such exhibition of hidden works, I was very impressed for a very long time .. In general, I would like to warn you, my friends, that I will not be afraid of these words just going to this Art Temple. And the second and third too ... You can come to the Gallery if you live in Dublin or its surroundings as often as your soul desires it ... Sit on a bench in one of the halls and just look and think about what echoes your heart when you look into the old canvases of the great painters of the past centuries. Dublin Picture Gallery, to our happiness, has a huge number of originals of many world-famous painters who died prematurely from natural poisons that were added to paints ... Many famous mothers did this in order to give their paintings durability ... They were written for posterity and means to us. In the Gallery shop on the first eaazh - a wide selection of reproductions of many world famous paintings, beautifully published books on art and painting, gift souvenirs. There is also a wonderful cafe where you can discuss world-famous masterpieces with friends over a cup of coffee. The exhibition halls are huge, with wide crossings, so please be patient and time and water. There are benches in all the halls where you can relax and think about what you see and have time to understand yourself ... If you want to join the guide and listen to interesting lectures on the art of painting from different periods and walk through the halls with the group - that the payment is absolutely small and anyone can allow it. For children on weekends workshops are conducted under the guidance of specialists. And for everyone who wants to learn how to draw adults - master classes on a schedule and for a separate payment. Watch for advertising, friends - the gallery often holds unique exhibitions of famous artists. Entrance to the National Gallery of Dublin is free. I am not a fan of Madame Tussauds' talent, but nonetheless I would say that in order to see copies of celebrity figures it is not at all necessary to fly to London or Amsterdam. In Dublin on The Lafayette Building, 22-25 Westmoreland St, Temple Bar, is its National Wax Museum Wax Figure. This is probably one of the best entertainment especially for parents with children - the museum presents scenes from fairy tales that we know from childhood, and our children can fully enjoy the adventures of their favorite characters and feel themselves in a magical country. 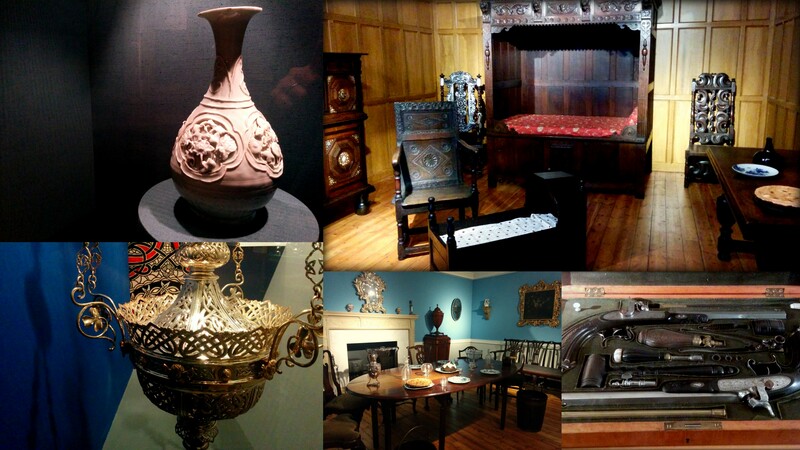 The Museum has several thematic departments - to see what is interesting for you. These are '' Great Irish Writers '', '' Chambers of Horror '', '' Kid's World '', '' Science & Discovery '', '' Music & Entertainment ''. To the delight of children and parents, who also love to look at wax figures, the Museum has prepared a Christmas Program, so it makes sense to look into the Museum on holidays and get a lot of fun! Also known by its abbreviation as IMMA and is the leading national institution for the collection and storage of various collections of contemporary art. Always interesting and unusual exhibitions! Lovers of modern and non-traditional trends in art are always waiting for frequently updated expositions in the museum. The museum takes a very responsible approach to the issue of education of us, its visitors, and development programs for different age groups are provided here, I will not begin to list them, but I advise you to go through this link, and you will know everything and decide in your choice - http://www.imma.ie/en/index.htm. http://www.imma.ie/en/calendar.cgi - follow the link, dear friends, you will know the Events Calendar. 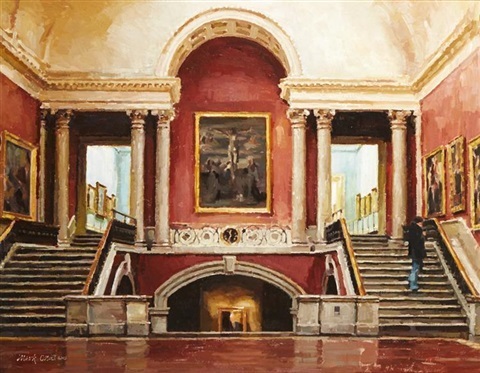 It is also located in the center of the capital - Charlemont House Parnell Square Rotunda, Dublin. Located on North Great George’s street and dedicated to the outstanding Irish writer James Joyce –James Joyce. The purpose of the center is to acquaint visitors with the writer's work, exhibitions of his works are held here. 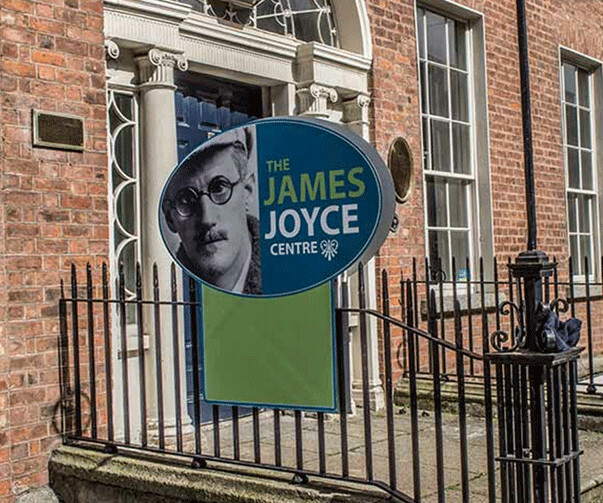 If you wish, by paying 10 euros, you can book a tour of the writer's favorite places in Dublin, which will certainly help to better understand his work and the atmosphere of the time when the great Joyce lived and worked. The writer is difficult, it is not easy to read it even in Russian, so maybe it makes sense before reading his famous ''Ulysses'' to come to this Center and learn more, but why did Joyce write this book? Located in an old estate in the northern part of the city on Parnell street. Atmosphere - more than disposes to acquaintance with the books and works of famous Irish writers Joyce, Swift, Wilde, Beckett. The museum was founded in 1991 and enjoys worldwide fame not only among the Irish themselves, but also among tourists coming to Dublin. This is the Museum of Irish Writers, probably, and is mainly the very “Cultural Face” of Dublin, which is usually talk about booklets for tourists coming to Ireland from around the world. But we know that the capital of Ireland is able to intrigue not only with the names of Irish writers. Therefore, we will add this museum to our piggy bank of interesting and significant places in Dublin .... and let's go further! Cavendish Row, 1 - located in the heart of Dublin. Follow the link, dear friends, to see the list of always very interesting performances in The Gate. 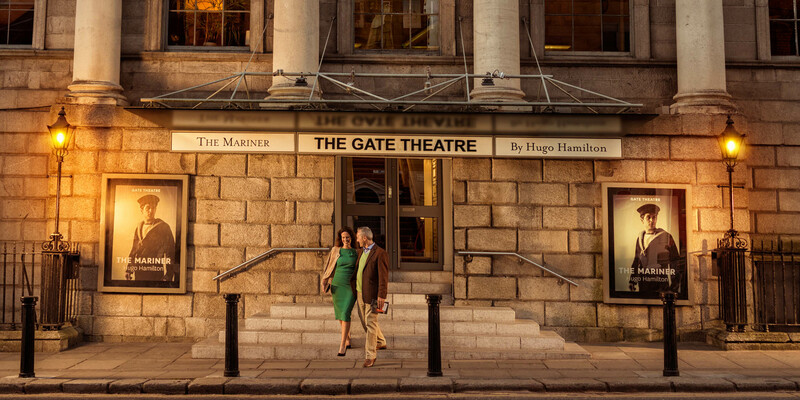 /www.gatetheatre.ie/whats-on/ - follow the link to learn ''What is On?'' in ''The Gate''. Located on Collins Avenue -must seen as they say! In this excellent hall are the presentation of a variety of genres of the highest level. You will not regret! The theater is located in Tallagh, The Square. A great opportunity for residents of this area of Dublin to become an artist, since this theater holds master classes for lovers of theatrical art. Dare, dear friends and, who knows - perhaps you will conquer the world with your comedic or dramatic art! Always the most varied program - plays, concerts, meetings with famous Irish singers and artists. For fans of the cinema IFI always offers for every taste both the well-known and the latest films of world cinema, film festivals are held. Located in the city center on Eustace street, Temple Bar, which in itself is very convenient for all of us - go to the center for a weekend and not only watch the sensational film, but also listen to a lecture on its creation and ask questions to the creative group. 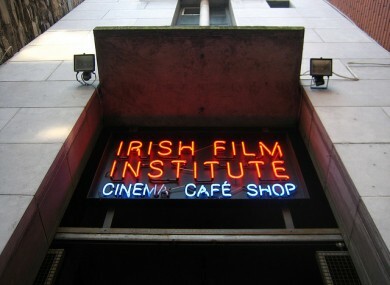 I highly recommend to visit at least once ..My memories of this Film Institute are very sweet. 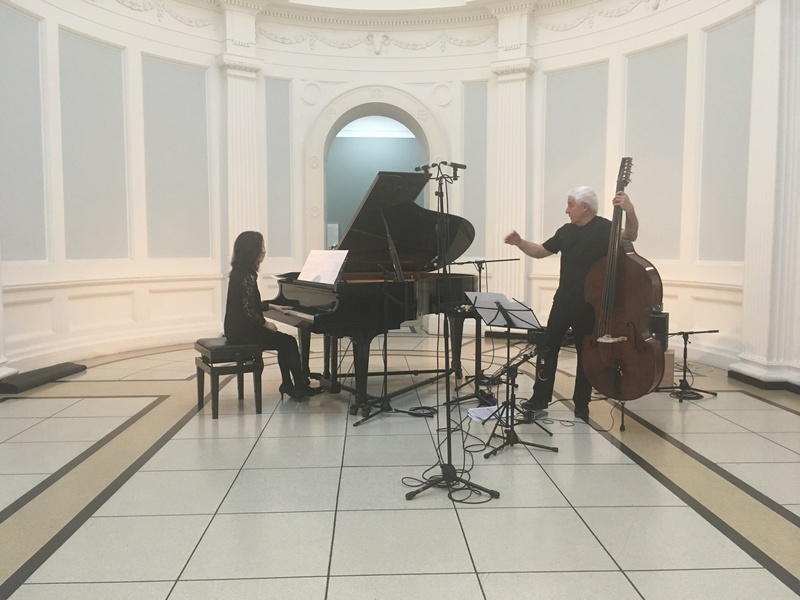 https://ifi.ie/whatson/now-showing-coming-soon/ - following the link, you can familiarize yourself with the IFI's repertoire for November. In the IFI repertoire there are always unusual films, those that do not go to the box office viewing halls of the world. In NCH there is always a place for a joke, the artists talk with the audience before their performance and share their impressions of their past concerts in Dublin, after the performance the famous pianists, violinists or singers stay in the lobby to sign CDs with their recordings to each of the audience who are wish. And it is precisely here that those CD records are sold, which are not always available even in the large music departments of Dublin's trade centers. 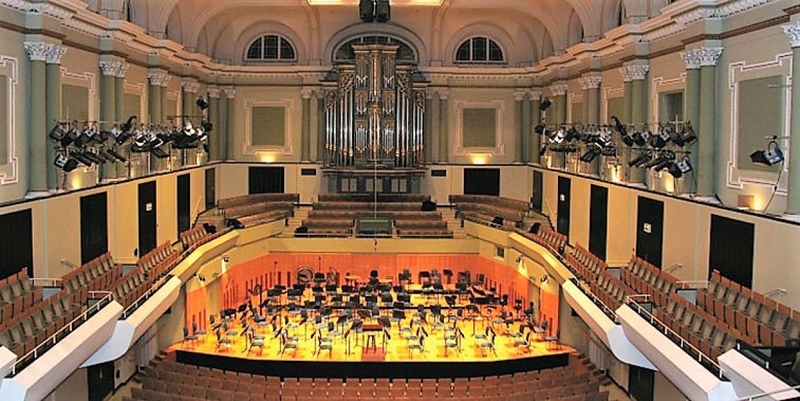 And it’s impossible not to say that musical performances in NCH are not only and not always in the evening, but you can listen to music in the small hall even in the daytime, which, you see, is very convenient for all those who work according to a sliding schedule . Well, if you have a special reason, whether it's a birthday or an anniversary, there is a fine restaurant right in the same building, and the dinner before the concert will color your evening with special colors and will be remembered for its originality for a long time. 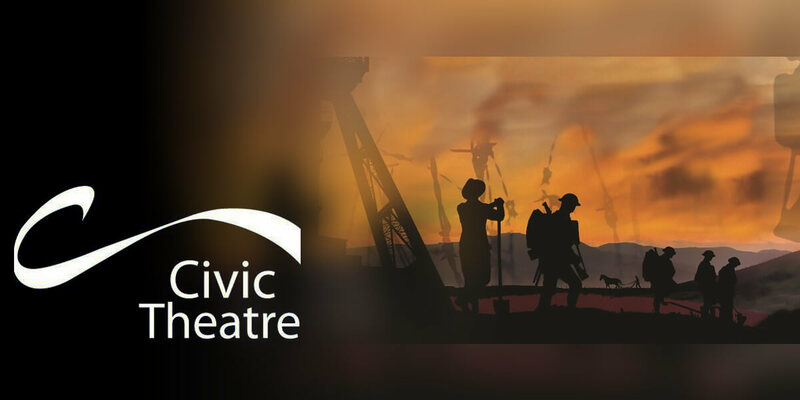 Follow the link, you will be able to know in advance - What's On in NCH and get your tickets to any performances, you wish to attend here, on-line. Dublin Zoo - this is something incredible .... The zoo is located in the best place of the city, of course - in Phoenix Park! And it offers a variety of entertainment for children - here you can go on a trip through the African jungle or visit an Irish farm, watch the latest acquisition of a Dublin zoo - a tiger from Sumatra. A real surprise will be a meeting with the zookeepers, organized especially for young visitors, and the opportunity to observe how the animals are fed. 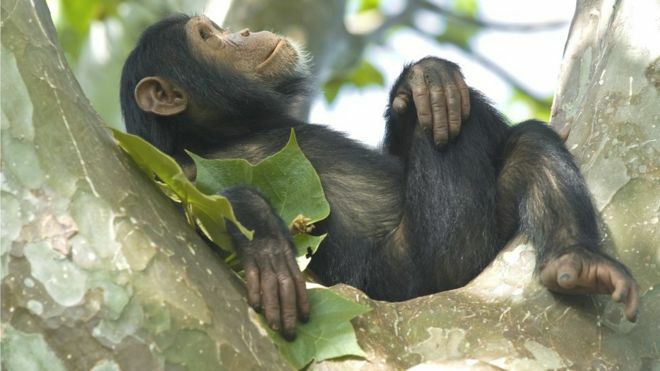 Located in the natural forest of Phoenix Park, the Dublin Zoo is a great place to relax for the whole family and a window into the world of knowledge for children of any age. I would allow myself to say that Dublin Zoo is one of the best in the world as I was lucky to travel a lot and saw many Zoo in different countries and I can assure you that you and your children, your guests and your friends- all of you will have a really great time have spend a few hours in there.. Zoo in Phoenix Park offers a variety of entertainment for children - here you can go on a trip through the African jungle or visit an Irish farm, watch the latest acquisition of the Dublin zoo - a tiger from Sumatra. A real surprise will be a meeting with the zookeepers, organized especially for young visitors, and the opportunity to observe how the animals are fed. Located in the natural forest of Phoenix Park, the Dublin Zoo is a great place to relax for the whole family and a window into the world of knowledge for children of any age. Recently organized, it has become one of the favorite family activities of Dubliners — a unique opportunity for children to learn as much as possible about sea creatures and seabirds — an exciting trip on a high-speed, specially equipped boat. The trip includes a tour of the islands near Dublin, the Dublin Bay, the Liffey River, and visiting the resort areas in Howth and Malahide, children also get acquainted with the history and cultural heritage of the region, which is quite important for schoolchildren. If you are lucky with the weather! During a water excursion, a Captain dressed in a Viking costume will tell the story of the first settlements in these parts of Dublin more than 1000 years ago. This water event - “Tour Bus” - is over 50 years old, and organized for children, it survived the Second World War. A fact that deserves the attention of not only schoolchildren, but also adults. 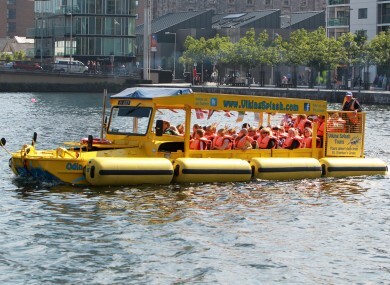 You can go on this exciting river trip from Bull Alley street or Stephen’s Green North. And hope to see you soon again!